One Last Push features Disability History Scotland’s Memory Chest, created for the film’s premiere in December 2014. 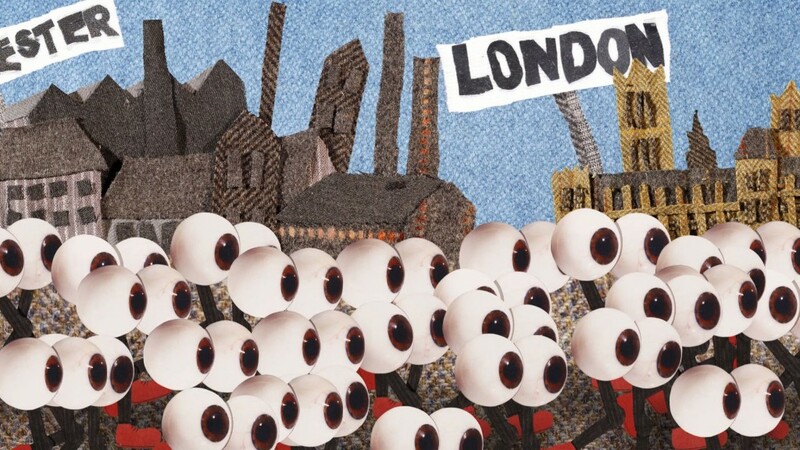 Physical artifacts such as war medals and prosthetic limbs and audio & written transcripts of Edinburgh locals’ WWI memories can be brought to life through story and discussion. The Memory Chest invites us to explore the development of the disability movement over the past hundred years. One Last Push and the Memory Chest encourage us to engage with the normality of disability and to think about friends, relatives and neighbours who may live their lives with disabling conditions. DHS has showcased One Last Push and the Memory Chest at the City Chambers, the Scottish Portrait Gallery and other locations throughout Edinburgh. As part of our remit from the Heritage Lottery, we are now visiting local schools, community groups and other organisations as part of our outreach efforts. If you would like to invite DHS to speak to your organisation, please contact us here. 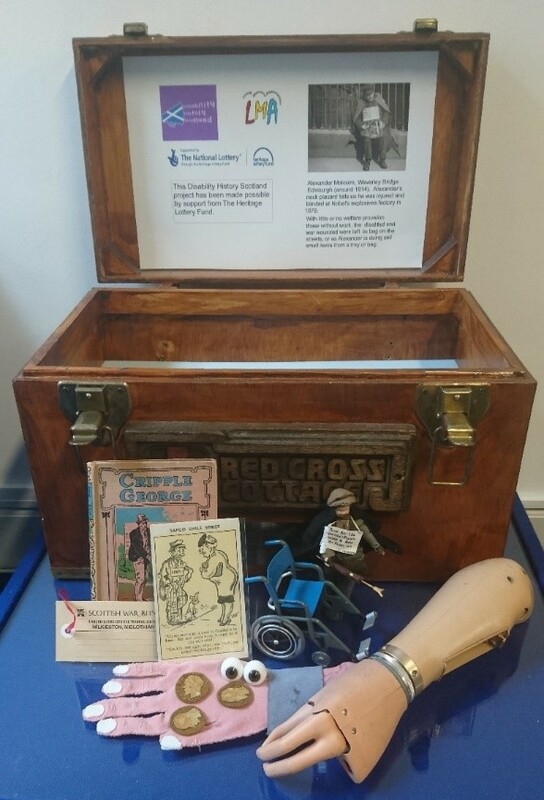 Disability History Scotland Memory Chest.